Industries require a lot of safety signage boards. Factories, shop floors, office blocks, malls, hotels, theaters, etc. are places where a large number of people gather. Direction boards are needed to guide these people. 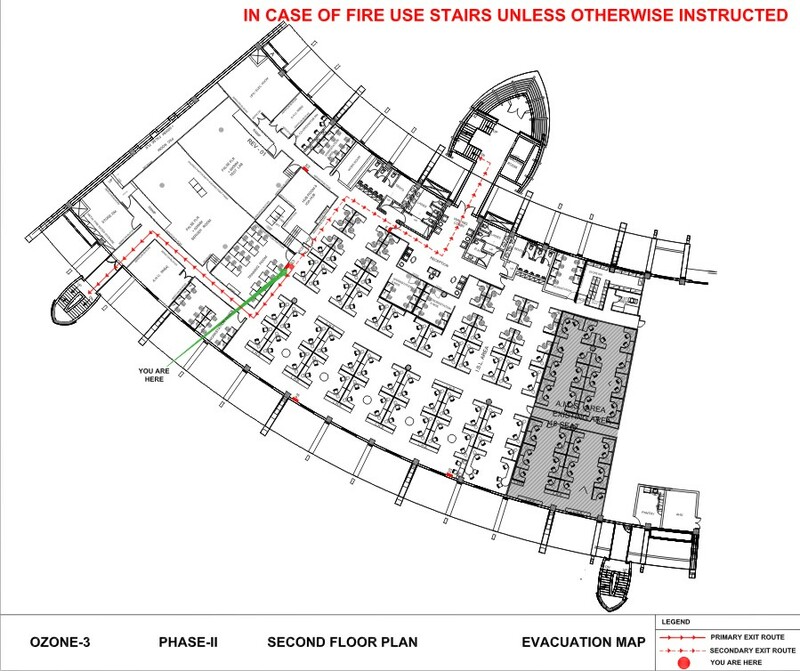 Fire evacuation maps are required in case of an emergency. Apart from this there are areas which are restricted or areas where access is given only to only certain people. At times, around certain machinery it is mandatory to put on gear like hard hats, goggles, gloves, etc. Safety signs primarily warn of workplace hazards and instruct employees on the proper precautions to take to avoid injuries. At Orchid we have safety boards in both, a horizontal as well as vertical layout. The horizontal boards are of size 18″ inches in width and 6″ inches in height. The vertical safety posters measure 8″ inches in width and 12″ inches in height. While these dimensions provide good visibility, the same can be altered to meet your individual requirement. Shown in the table below are some ready designs of safety signs. Click on the download link to download the safety signs in a printable PDF format. You will need Acrobat Reader to view / print the same. To download the horizontal safety signs as a PDF, click here. To download the vertical safety posters as a PDF, click here. DANGER (red and White): These signs are to used hazardous situations that can result in death or serious injury. This signs must be accompanied by an alert symbol. CAUTION (yellow and black): Caution signage is used in a situation that may result in minor or moderate injury. Alert symbol is required only in situations that result in property damage. NOTICE (blue and white): These signs are used to communicate company policy. EMERGENCY (green and white): Emergency signs identifies safety equipment and safe work practices. 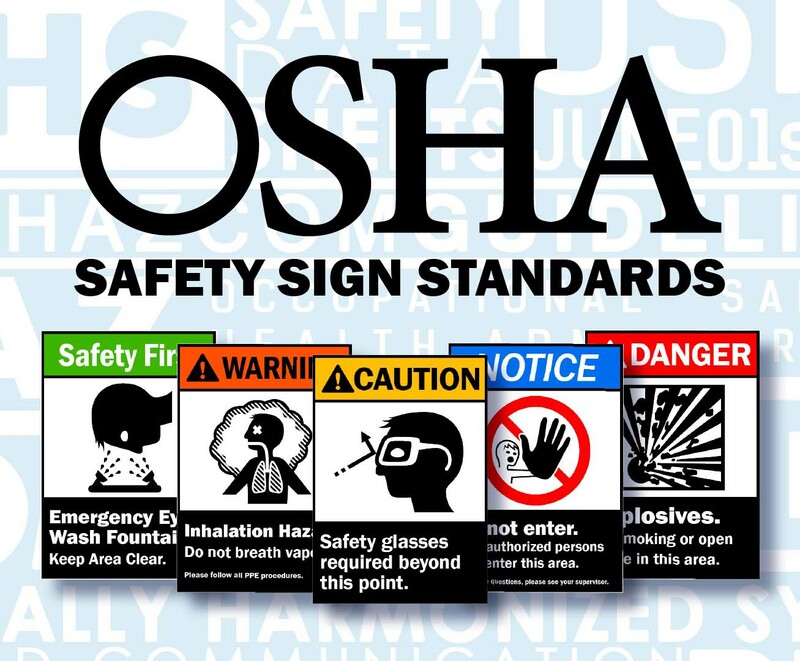 At Orchid, we have ready posters for your safety signage requirements. The signs have a easily identifiable symbol or icon on the left accompanied by relevant text on the right. The signs are printed on vinyls, laminated to increase ruggedness and durability. Further, we mount them on 3 mm rigid sunboard. These boards can then be easily pasted / drilled in the work place by the end customers. If necessary, the boards can be provided in auto glow / night glow options. Night glow safety boards are printed on a special radium vinyl. The vinyl absorbs light in the day or when the lights are switched on. It then emits a highly visible glow at night or when in complete darkness. Auto glow boards are used extensively for showing the Emergency Exit’ location. 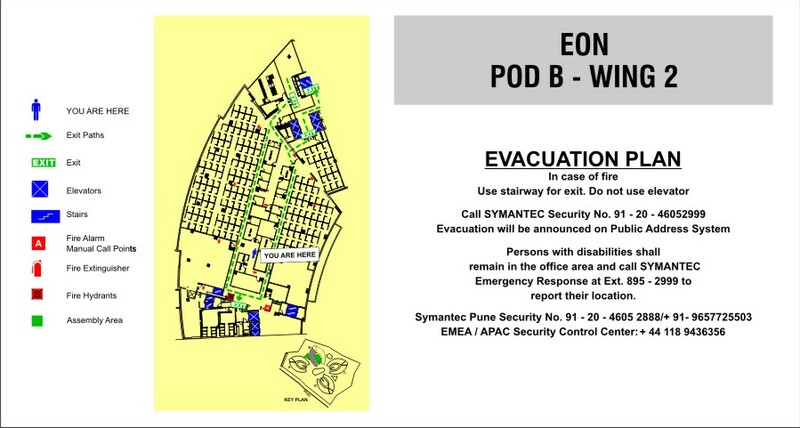 Fire evacuation maps are another big requirement that is fulfilled at Orchid. While there cannot be any ready to use standard design for this application, the clients’ architects generally provide the design / layout. We print these maps on vinyl and mount them on 3 mm sunboard. The resulting poster can then be easily pasted or nailed to the walls at the customer’s location.